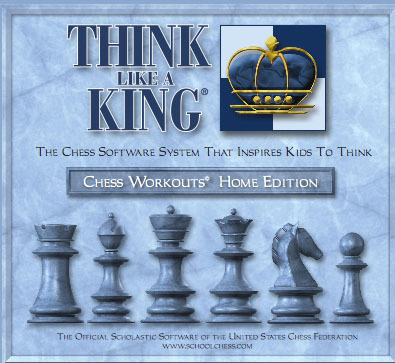 A note to parents and students: This is where you can download your own copy of the Think Like A King software your school's chess club is using. This Demo version contains all the software you'll need to use the Chess Workouts modules at home. After downloading the Demo, you'll be able to browse through parts of each Chess Workout volume. Once you decide which volume(s) you'd like to begin using, the software makes it easy to connect online to purchase the Unlock codes that give you full access to the software you've already installed. And for every volume you order, your school earns a generous royalty to help its chess program. With this unique program, the Think Like A King system makes it easy for your kids to Learn, and your school to Earn! Privacy statement: Food for Thought Software NEVER shares your information with anyone, for any purpose whatsoever.